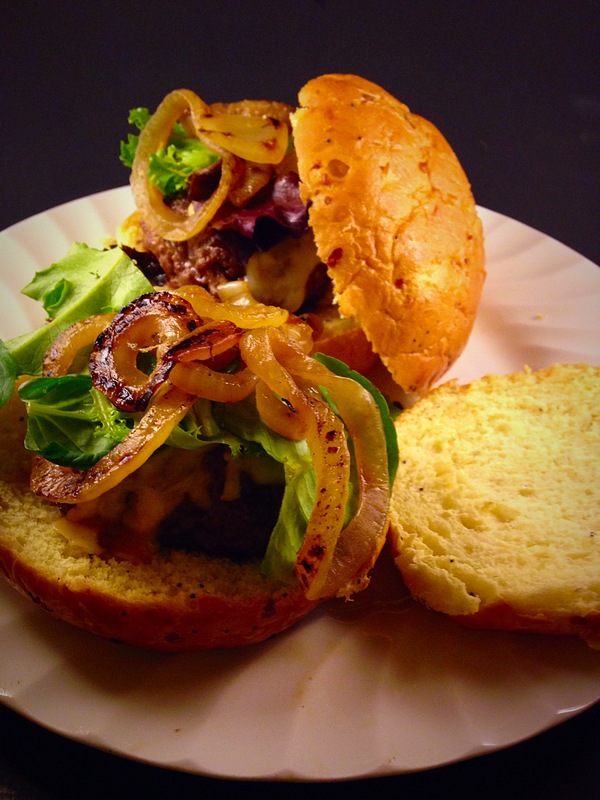 Lamb Burgers with Muenster Cheese & Carmelized Onions | Buoy. Isn’t the art of inspiration funny? One minute you’re getting the mail. 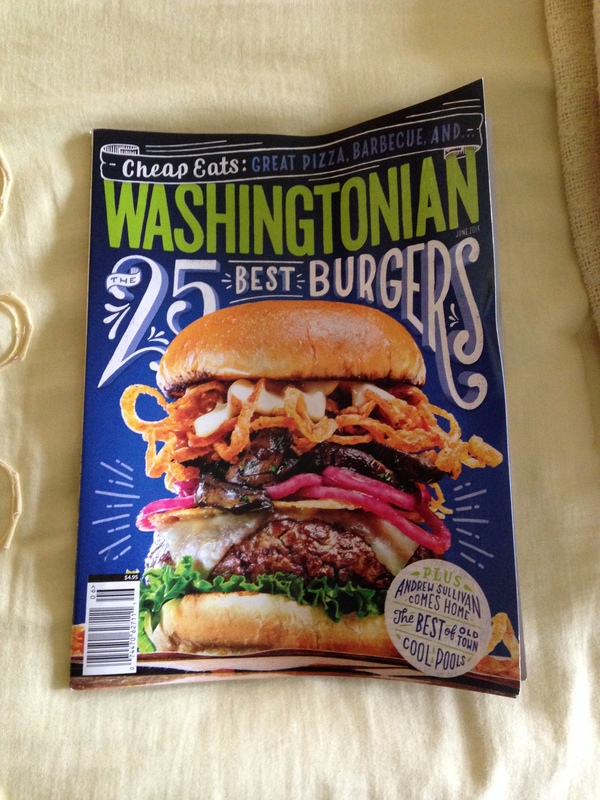 The next, you’re passionately committed to making lamb burgers. This is actually the first lamb burger I’ve ever eaten. The first lamb burger I’ve ever made. And nowhere near the last. So in summary…Be inspired. Eat juicy burgers. 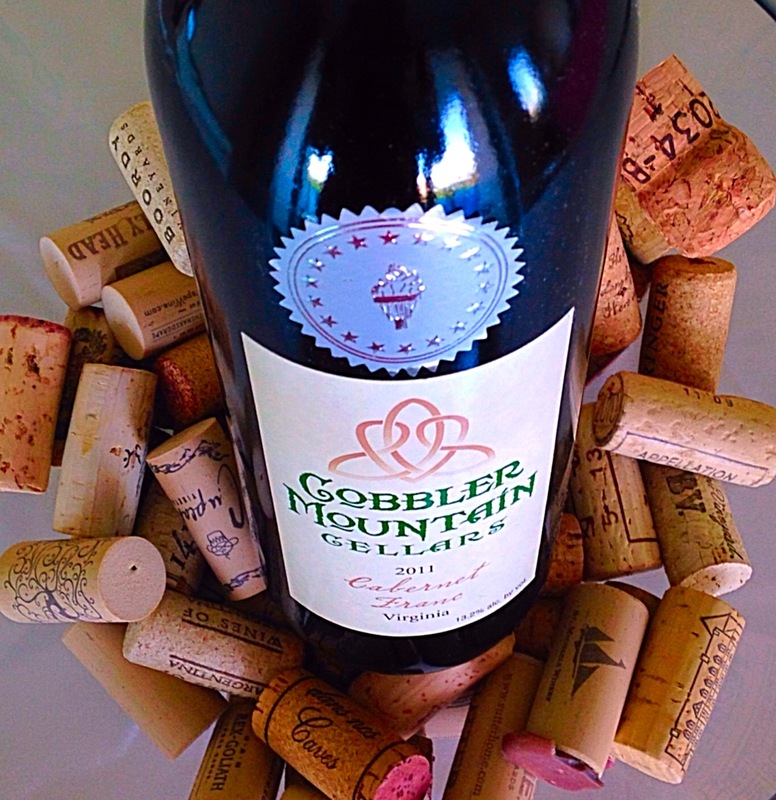 Drink good wine. 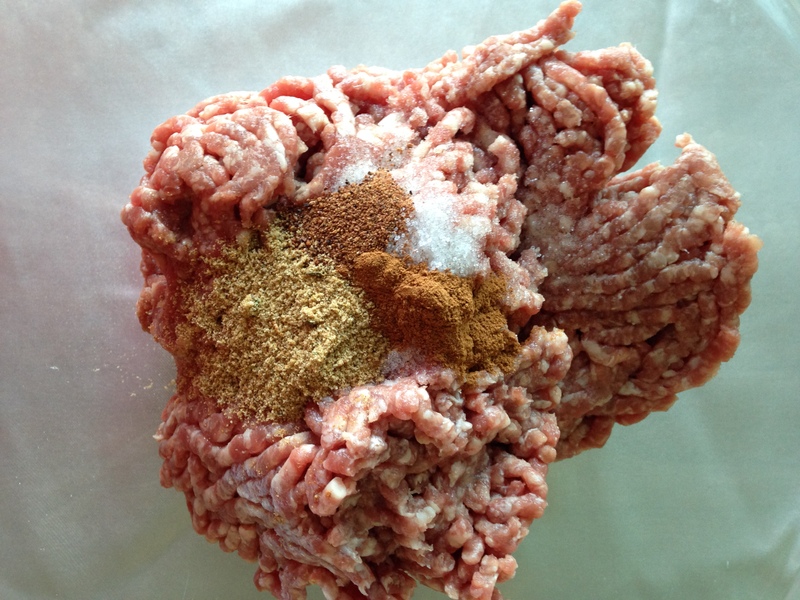 Mix together ground lamb, salt, Old Bay, nutmeg and cinnamon. On medium high heat, sear burgers on both sides. Finish off in 350 degree oven for approximately 10 minutes (internal temperature of 160 degrees). 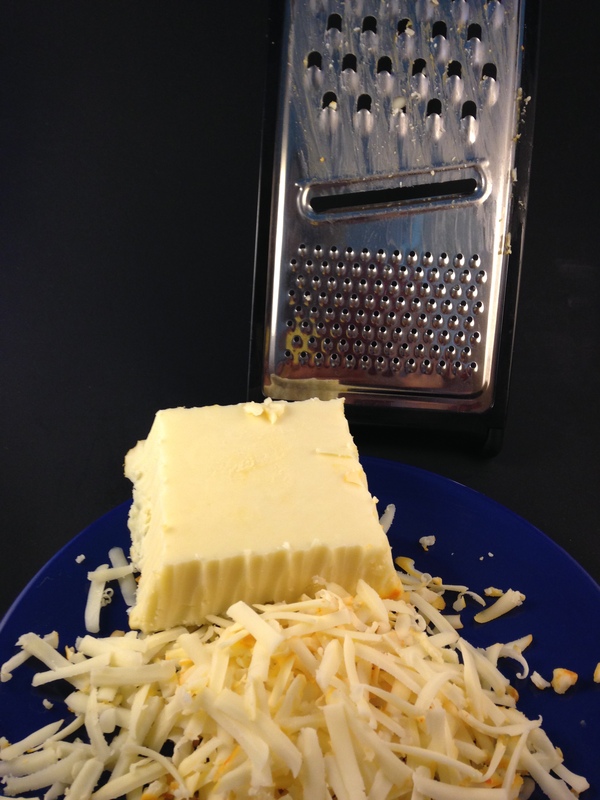 During last few minutes, top with muenster cheese in oven to allow for melting. 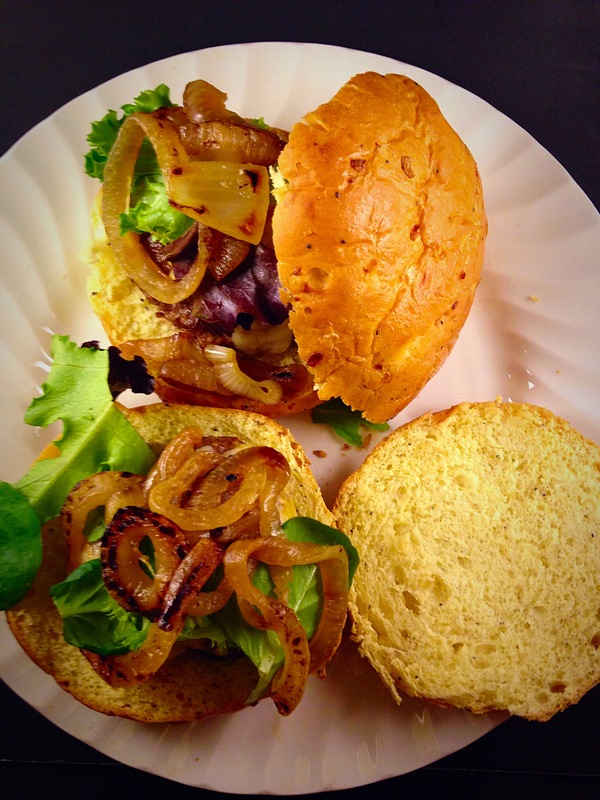 Serve with spring greens and caramelized onions on onion roll. Pingback: Eat. LOVE. Inspire | Buoy.